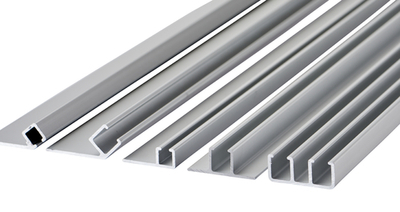 We manufacture Strip Brush Holders from extruded aluminum in a range of lengths and profile shapes. We also offer profile shapes in a clear anodized finish. Other overall lengths, profile shapes and anodized colors are available upon request and mounting holes and slots can be machined into holders for specific applications. The anodized finish provides the aluminum with a naturally protecting coating, strengthening the durability and extending the life of the brush holder. The different profile shapes ensure the brush is mounted at optimal position for maximum surface contact and effectiveness.